As for those of you who survive, I will cast a faintness in their hearts in the land of their enemies. 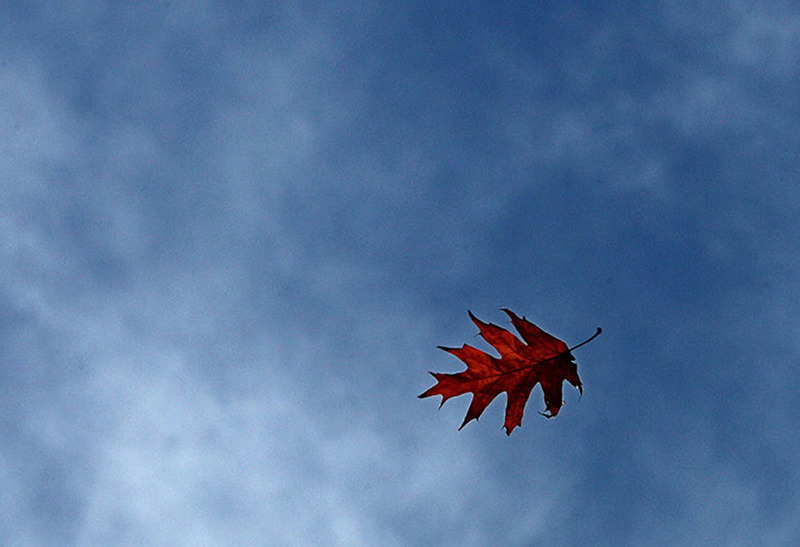 The sound of a windblown leaf will put them to flight. Fleeing as though from the sword, they shall fall though none pursues (Leviticus 26:36). Pay attention to your emotions and feelings at any time of stress or worry. Are you ready to run at the slightest sound? Do you sense fear or impending doom or an overwhelming sense of dread? Such fears only provoke more fears and often lead individuals to feel like they’re going crazy. If you have such symptoms, schedule a visit with your physician to discuss possible causes and potential treatments. Of course even if we do accept the parallels, many of us would find a theology that views psychological disorders as divine punishment to be utterly unacceptable (or at least not particularly comforting.) I prefer to think that the exact opposite is true: God is not the “cause”, but the “solution.” God does not punish us with the pain of stress and anxiety; God is the source of healing to which we turn. …I needed to change. I couldn’t be a constant yo-yo mirroring everyone else’s health. I needed to be strong in myself. So I did the smartest thing I ever did: I started meditating. I’ve been doing Vipassana meditation for about three years now. In Vipassana, we focus on the breath. When we realize our minds have wandered, we go back to the breath. In that moment, we “wake up.” We practice mindfulness. And, funny enough, after a while, you start “waking up” in daily life too. Now, when my mind starts to spin out tragedies or dwell on past dramas, I’m less likely to get stuck in them. I wake up. When the stress of parenting a chronically ill child ratchets up, I take solace in the fact that my hardships are like each breath: They evolve. They pass. Nothing lasts forever. Now here is a powerful antidote to the image of a God that sends down panic attacks as punishment for our disloyalty: the God to whom we turn in our darkest, most panicked moments: the divine power embodied by nishmat chayyim: the healing breath of life itself. I like what you say here, but I notice that you have to take three or four steps to get from the plain meaning of the first Biblical text (God sends this as a punishment) to a comforting antidote in the second, and one of those steps is outside Judaism, into Buddhism. If I’m a Jew who finds the first vision of God “unacceptable,” why should I go to all that trouble, take all those steps, when I can just become a Buddhist? This isn’t a snarky question, though it may come out that way. It’s one that’s been haunting me for a couple of years now. Why am I spending all this time and energy building my own new Judaism with some yoga here, some Vipassana there, maybe a little Sufi poetry mixed in, which gets exhausting, when I could just take refuge in the dharma, which seems to go straight to something that rings true? Would love to see you post your thoughts on this at some point. In the mean time, I’m really enjoying the blog! Great, great question – I didn’t experience it as snarky at all. So yes, what you describe: a “new Judaism with some yoga here, some Vipassana there, maybe a little Sufi poetry mixed in” (which sounds awesome to me, btw) certainly is a lot of work, but I would also say it’s ultimately worth the effort if you are committed to transmitting the creative spark of Judaism meaningfully to current and future generations. At the end of the day, however, I’m a functionalist. When it comes to religion, as with most other things, I believe in doing what “works” for you. I’m only describing what works for me (albeit for growing numbers of Jews, I find.) If you find that it works for you just to “take refuge in the dharma,” and don’t need anything more, I am not in a place to tell you that you need to engage in the kind of work I’m describing. If, however, it is also important to you to identify meaningfully as a Jew and help bequeath a Judaism that is spiritually fresh and relevant, I would suggest this “work” is well worth the effort. Shabbat Shalom and thanks for your kind words about the blog!